We’d love your help. Let us know what’s wrong with this preview of A Single Breath by Lucy Clarke. 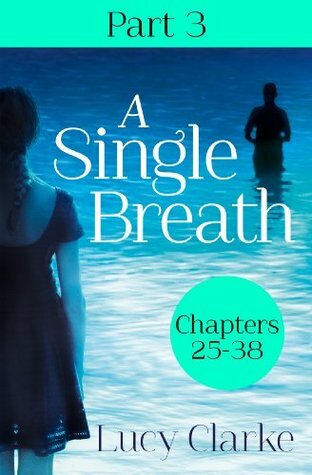 A Single Breath can be read either in 3 parts in ebook or a full-length ebook (available 27 March 2014). This is PART 3 of 3 (Chapters 25-38). It is not the whole book. You can buy the three parts two weeks ahead of the release of the full-length ebook and paperback. To ask other readers questions about A Single Breath, please sign up. Lucy is a passionate traveller and fresh air enthusiast. She's married to a professi Lucy Clarke is the bestselling author of five psychological thrillers - THE SEA SISTERS, A SINGLE BREATH, THE BLUE/NO ESCAPE, LAST SEEN and YOU LET ME IN. Her debut novel was a Richard and Judy Book Club pick, and her books have been translated into 12 languages. She has a first class degree in English Literature.